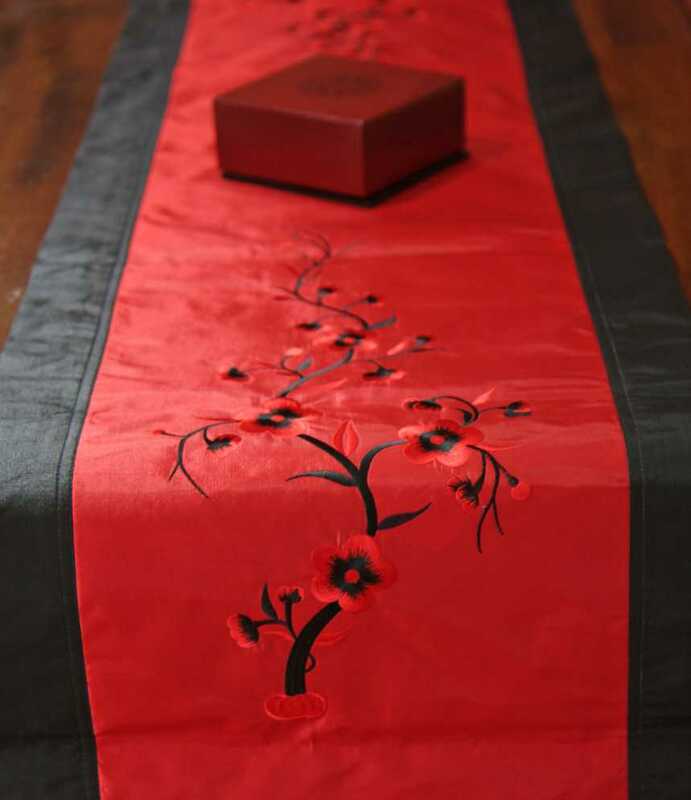 Beautiful silk table runner with red plum blossom embroidered on red silk. For many years. Using silk is very popular in home décor, especially in Asia. Pure silk is an absolute beauty which outshines every synthetic material around the home. These table runners are made with real Vietnamese silk with beautiful embroidery. They will add a layer of richness into your kitchen and dinning room.